NYJC around the country, through the year. Alumni gallery – are you there? Auditions 2018 leaflet now ready – download and Pass It On! Every year we produce a printed and downloadable brochure for young musicians thinking of coming to Summer School. Or you can write to us and ask for printed copies to be sent out to you and you could hand them to your band, orchestra, students etc, all glossy and swish. The leaflet will tell them about our supporting videos and other info to get ready for auditions. You can find those videos and more about Summer Schools here. Or apply for auditions here. Our goal is to make sure that talented and passionate young players find their way to meet us. 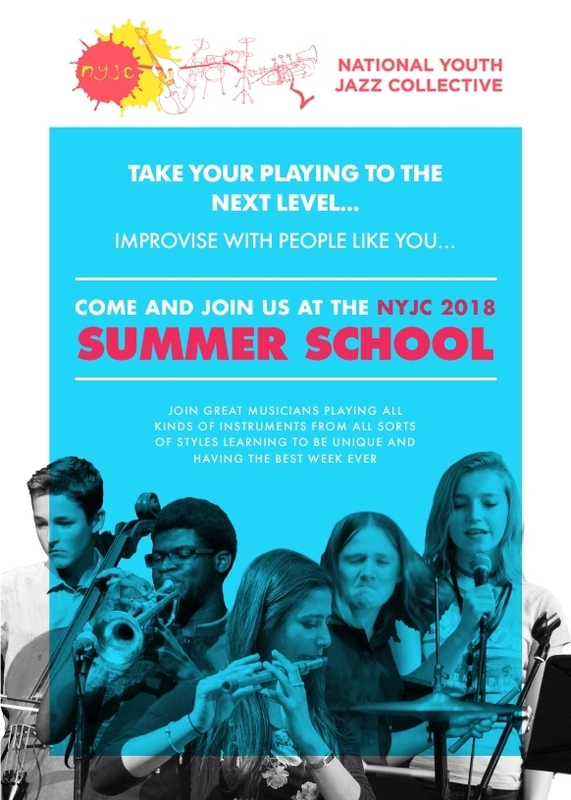 They can play any instruments (or sing) and don’t have to be already playing jazz – if you think someone might be interested – please Pass It On!! By signing up to this you are agreeing that we can send you a periodic update on our work across the country. You can unsubscribe at any time.